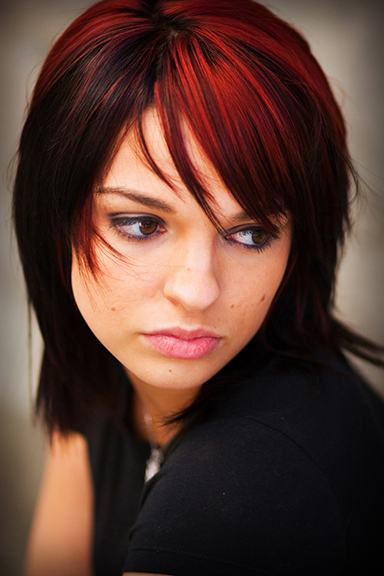 ERASE Child Trafficking (ERASE) is a U.S. based non-profit organization focused on eliminating child trafficking. 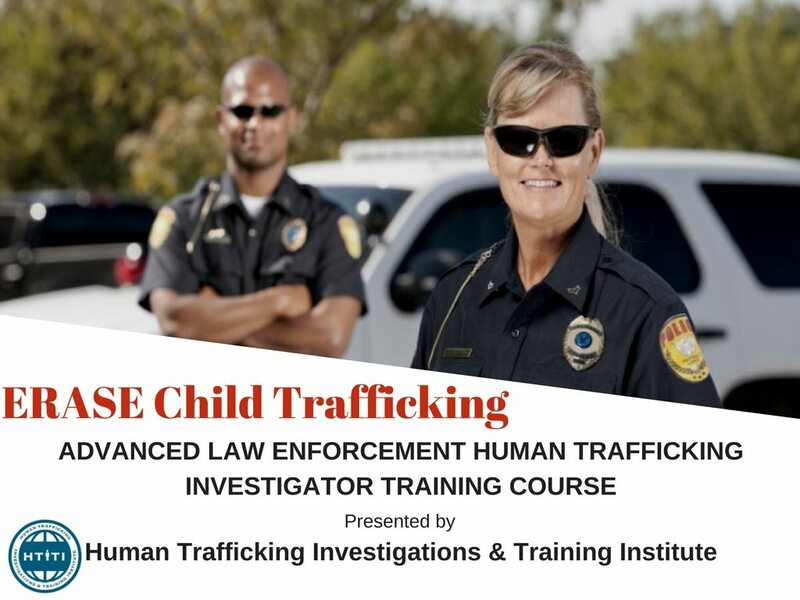 ERASE has been sponsoring a Human Trafficking Investigations Course for law enforcement officers from across the country. 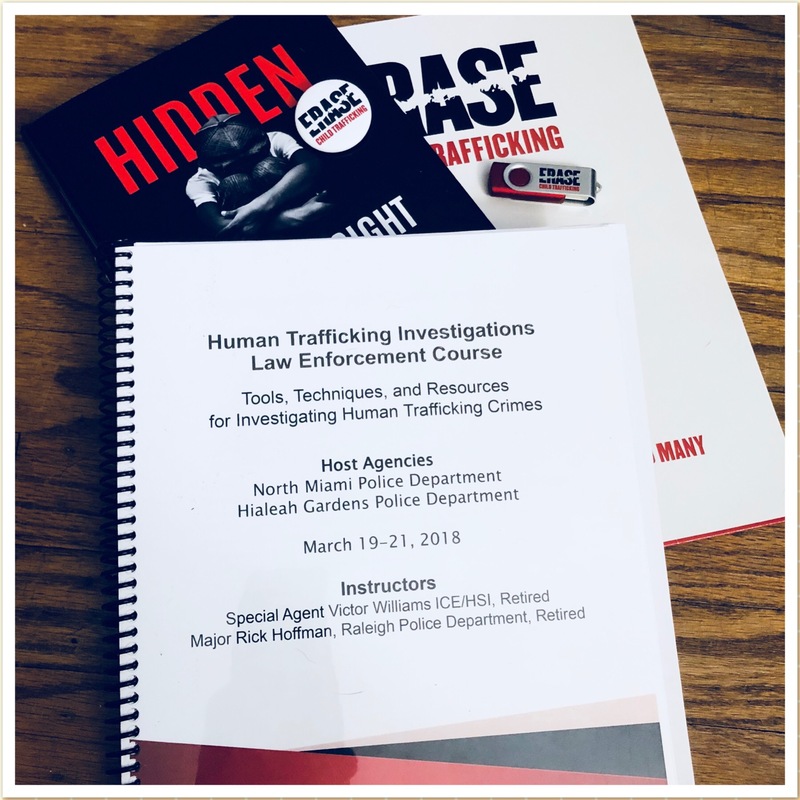 On June 6th, the Fayetteville Police Department hosted the 3-day Advanced Human Trafficking Investigation Course presented by the Human Trafficking Investigations & Training Institute (HTITI). HTITI offers instructor-led courses oriented to law enforcement. Thirty law enforcement officers from various departments across North Carolina attended the training. In addition to the instructors Greg Bristol and Joe Martinez several guest speakers shared their knowledge and expertise. Human trafficking advocate and survivor, Kelley Alsobrook, spoke with the officers and their answered questions. She was able to provide insight into why it is difficult for human trafficking victims to reach out to police for help. Guest speakers spoke about the Victim-Centered Approach, federal and state laws, OSINT, and prior NC human trafficking cases. Speakers included: Special Agent Victor Williams, ICE/HSI/SAC, Miami, FL, Human Trafficking Group, AUSA Jane J. Jackson from the United States Attorney’s Office-Eastern District of North Carolina, Cumberland County Assistant District Attorney, Rob Thompson, North Carolina Child Trafficking Resource Prosecutor, Damie Sesay, Jan Anderson, Attorney Advisor form AEquitas: The Prosecutors’ Resource on Violence Against Women, and Senior OSINT Instructor and Analyst for Delitor, Sean Kowalski. Dianne Kemppainen-Ziacsik from the local non-profit, 5Sparrows, spoke about their efforts of providing survivor services and community outreach. 5Sparrows is helping the community in the fight against human trafficking with several different programs they run. The founder of HTITI, Greg Bristol, commended the Fayetteville Police Department for hosting the course. “The value of this type of training is that more victims of human trafficking will be recovered when patrol officers are formally trained in how to detect human trafficking,” Bristol said. He encourages all police departments to engage in this type of training. “Especially those with School Resource Officers who can keep a watchful eye on schools to ensure traffickers are not targeting our children there.” Mr. Bristol also recommends that people educate themselves on what human trafficking is, and how to report it to the police. For more information on the class or about donating please contact Sandra Sparks of ERASE Child Trafficking at 800-819-3727.